For those of you who have been to Japan and tried the best sushi joints, you’ll appreciate where I’m coming from when I say that good sushi is a rarity outside Japan. 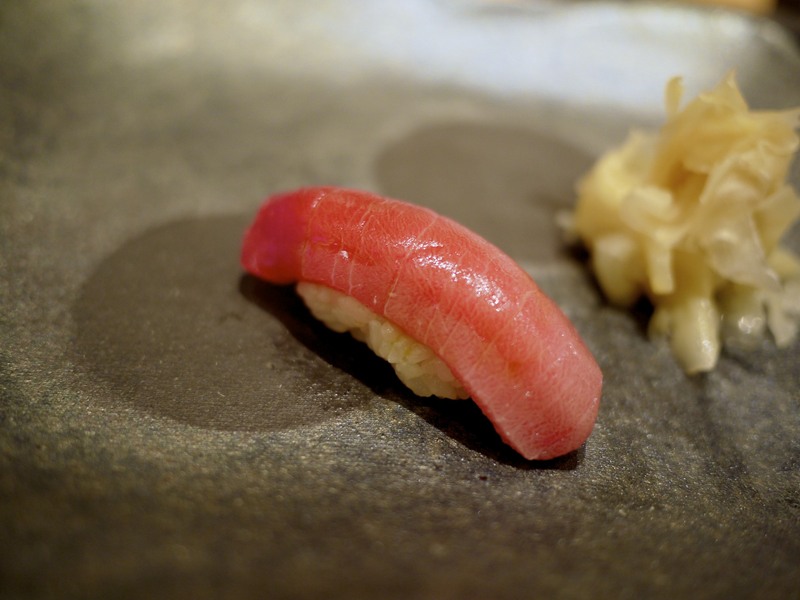 In fact, it’s so rare that I personally have only come across one restaurant in London by the name of Sushi Tetsu that has truly left me speechless… until my recent visit to Singapore that is. 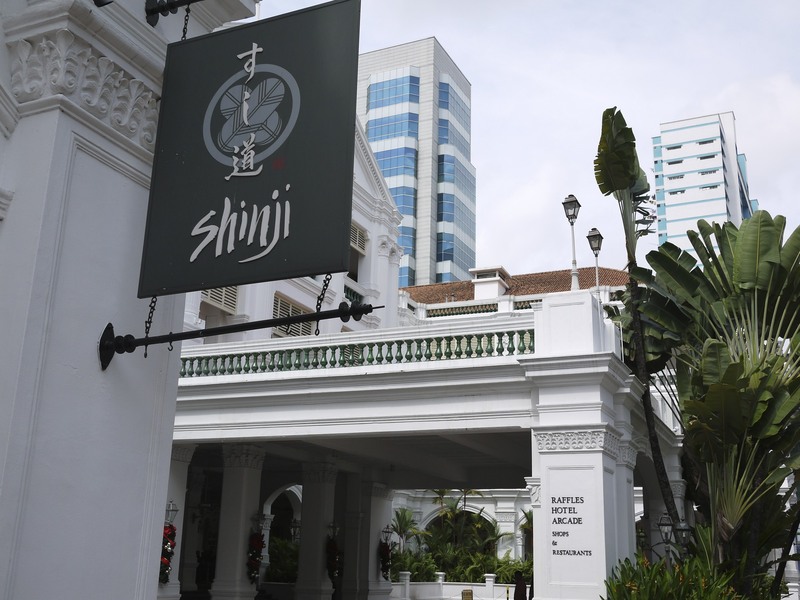 Shinji by Kanesaka is an offshoot of the two-michelin starred Ginza establishment that opened in Singapore’s most luxurious and iconic Raffles Hotel in 2010. Anyone who has dined here before will agree that they fully deserved the 32nd position in the 2014 San Pellegrino Asia’s 50 Best guide. Subsequently, they will also warn you about the eye watering bill that comes at the end of the meal. You have been warned. 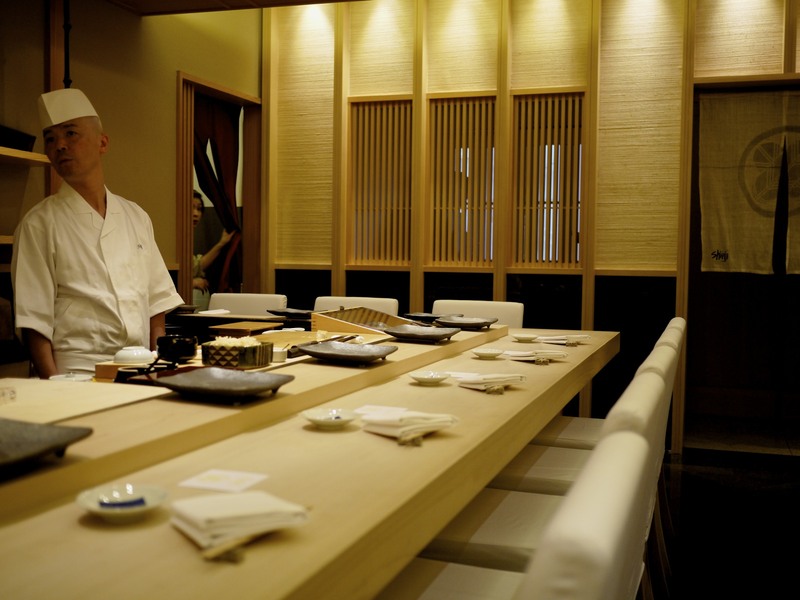 The centre piece of the dining room was undoubtedly the single-piece 220 year old hinoki counter (Japanese Cypress tree), the pride and joy of Oshino Koichiro who oversees the restaurant in Singapore whilst his boss, Kanesaka Shinji, manages everything back in Japan including the selection of the fish that gets flown into Singapore four times a week. Even the fruits used for their dessert are imported from Japan! Seaweed, radish and tuna to kick off the meal which had been marinated in soy sauce, and finished off with sesame seeds sprinkled. Beautifully moist fish with a very delicate flavour to ensure it didn’t overwhelm the subsequent sushi course. The texture of the fish was comparable to that of a slow cooked pork. 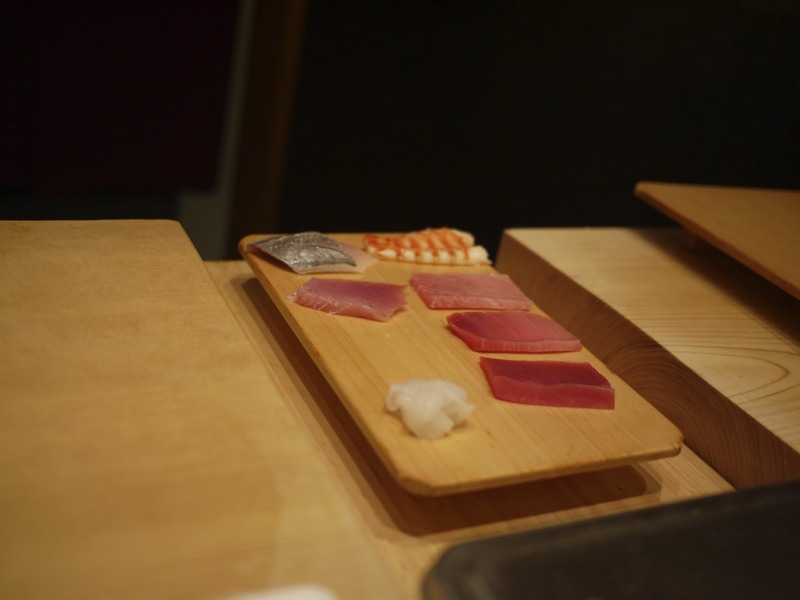 The first sushi of the twelve piece Moon course (月 – Tsuki) was Spanish mackerel (鰆 – Sawara). 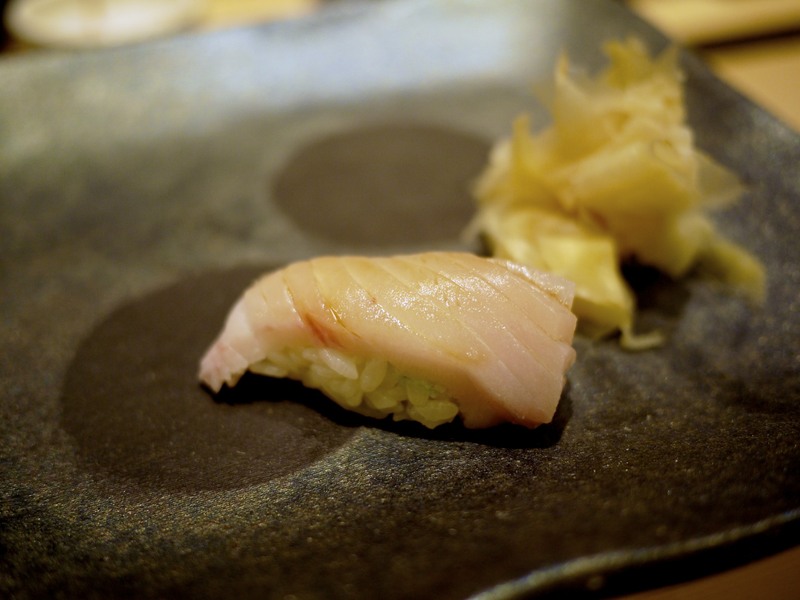 A buttery and fatty cut of fish that had been balanced well with the home concocted soy sauce and a dab of wasabi. The shari or the rice was superb throughout the meal and certainly on par with that of Sushi Tetsu, if not slightly better with the difference being the sushi-zu (vinegar) that was being used. Japanese amberjack / yellowtail (鰤 – Buri). Another clean and bold flavoured fish with a good amount of fattiness, finishing with a slight natural sweetness. As with the sawara, the high oil content that repelled soy sauce made this a very delicate dish and all you could taste was the fish. Delicious. Cuttlefish (甲イカ – Kou-ika) that had been seasoned with some salt and sudachi, a Japanese green citrus. Perfect texture with a slight stickiness to it that made it blend into the shari really well. The only mistake in the entire meal for me was the unusually large amount of wasabi that had been used which caught me by surprise and ended in tears. 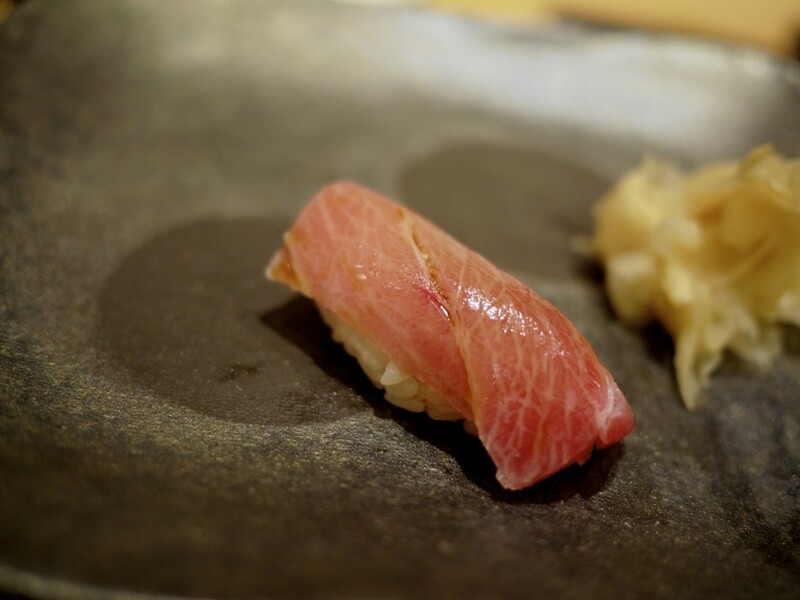 Medium Fatty Tuna (中トロ – Chūtoro) from Ōma was sublime with the perfect balance of the flavour from the fish and the oily richness from the fat. The entire piece just dissolved in my mouth with the rice. 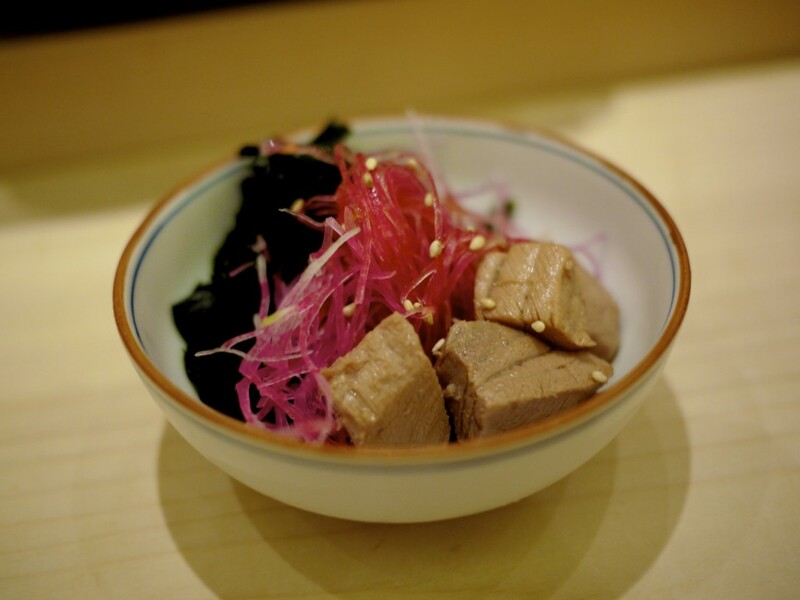 Tuna from Ōma in the Aomori prefecture are possibly the most sought after in Japan and fished using a traditional method of single rod and line (ippon-zuri). The reward from catching a tuna in one of Japan’s most dangerous straits is astonishing where a 222kg bluefin tuna fetched $1.76 million USD at an auction in Tsukiji market in 2013. 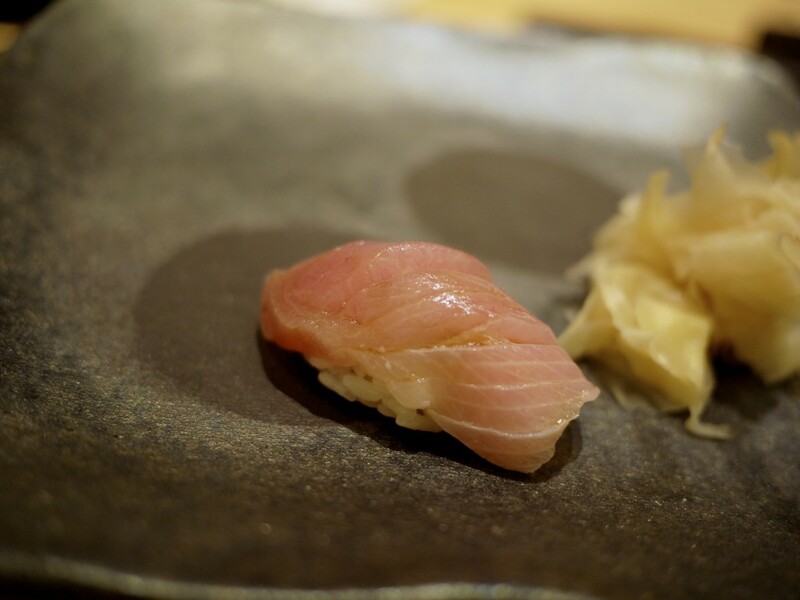 My mouth was watering when I saw the beautifully marbled Fattiest part of the Tuna (大トロ – Otoro), similarly from Ōma, served on my plate. Whilst one serving was sufficient given the oiliness of this cut, it was divine. 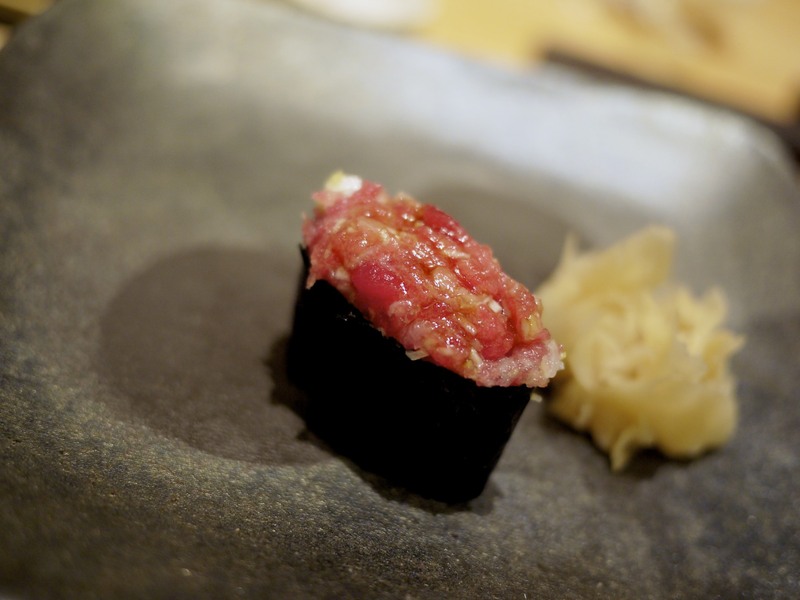 I could see why the tuna from Ōma had the nickname of the “black diamond of the sea” in Japan. 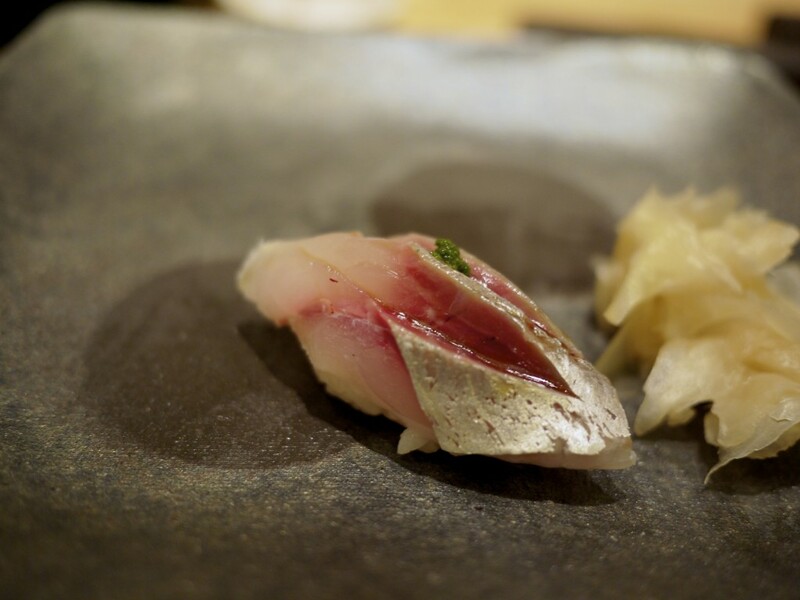 Horse mackerel (鯵 – Aji) complemented with shiso (perilla), spring onion and ginger to give it a lovely aroma and counterbalance the strong smell and flavour of the fish. This was one of my favourite dish of the evening and surprisingly it did not have that distinctly strong smell. It was just delicious. 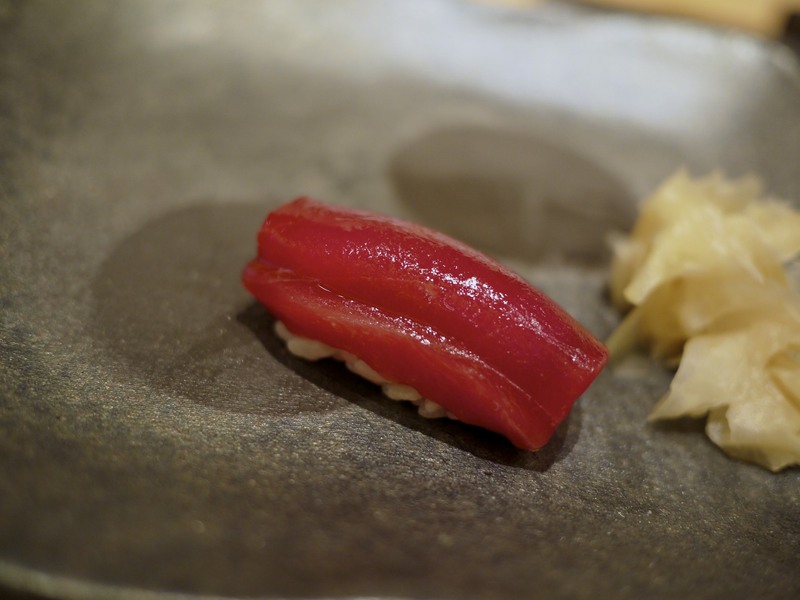 Tuna from Kagoshima (鹿児島 鮪 – Kagoshima maguro) to end the triple courses of tuna. I was surprised the akami (leanest part of the tuna) was sourced from a different tuna to the previous ones as one technically gets the full appreciation for the flavour and quality of the tuna by tasting all the cuts. Nevertheless, marinated for a few minutes in Kanesaka’s soy sauce concoction, this cut was sensational. It was simple, yet complex with a depth in flavour. 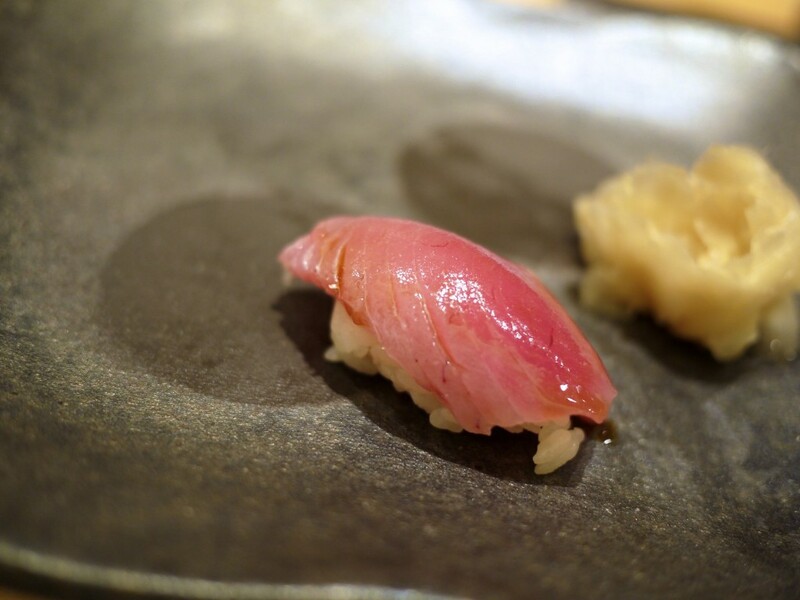 But just when I thought the tuna courses had finished, I was served with one final sushi of a six month old Baby bluefin (メジ鮪 – Meji maguro). It was far more delicate in flavour and texture over all the other tuna’s I had previously. It was like veal to a fish. 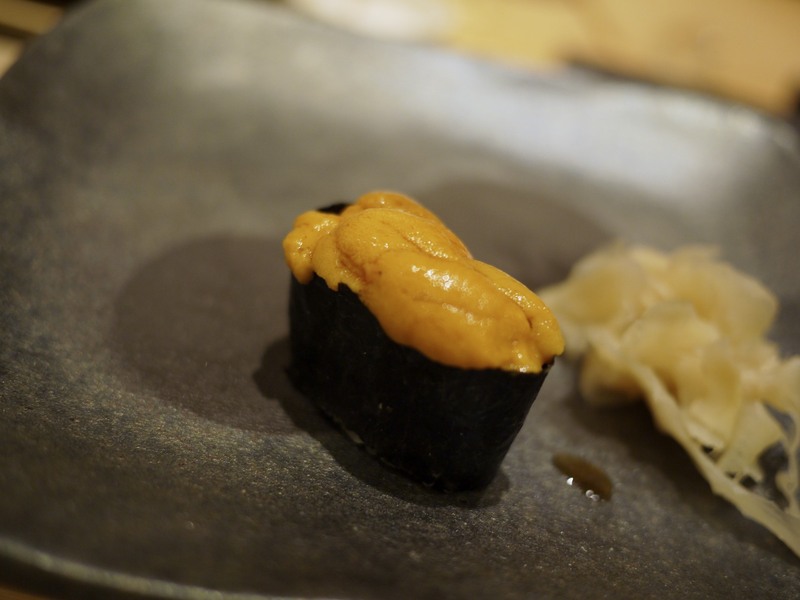 Just when I thought things couldn’t get better, it did with the Sea urchin (ウニ – Uni) from Hokkaido. Lacking any bitterness from the absence of myoban to preserve it, this was the real deal. Delicate, creamy and rich. This was what I was craving for since my last trip to Japan. A lacquered spoon was then oddly placed in front of me…? I was worried I had finished my courses already and I was transitioning to dessert… but that would surely have been too abrupt? What happened to the soup and makimono (rolled sushi)? … false alarm! 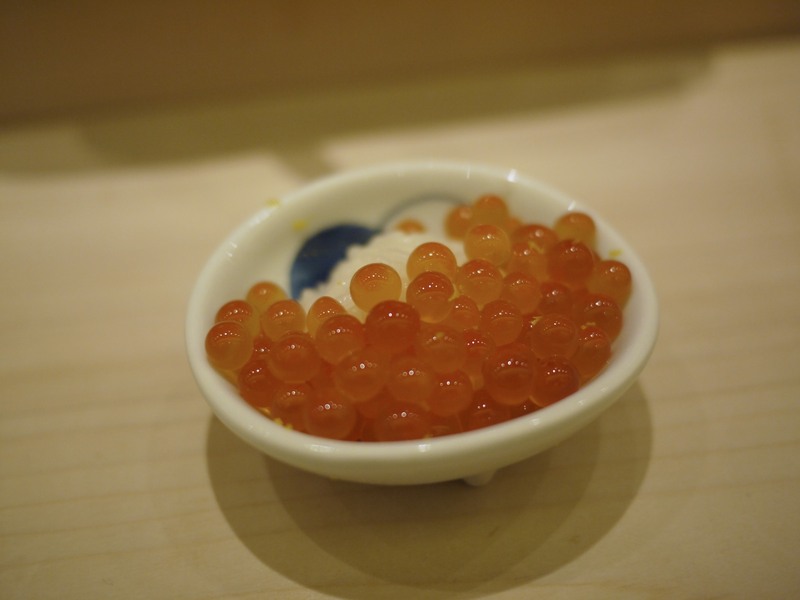 Even better, the spoon was to scoop out my second most favourite seafood ingredient in Japanese cuisine, Salmon roe (イクラ – ikura). The shari was moulded into a tiny ball and placed on a small bowl before being covered with tens of luscious gooey salmon roes packed with the flavour of the ocean. 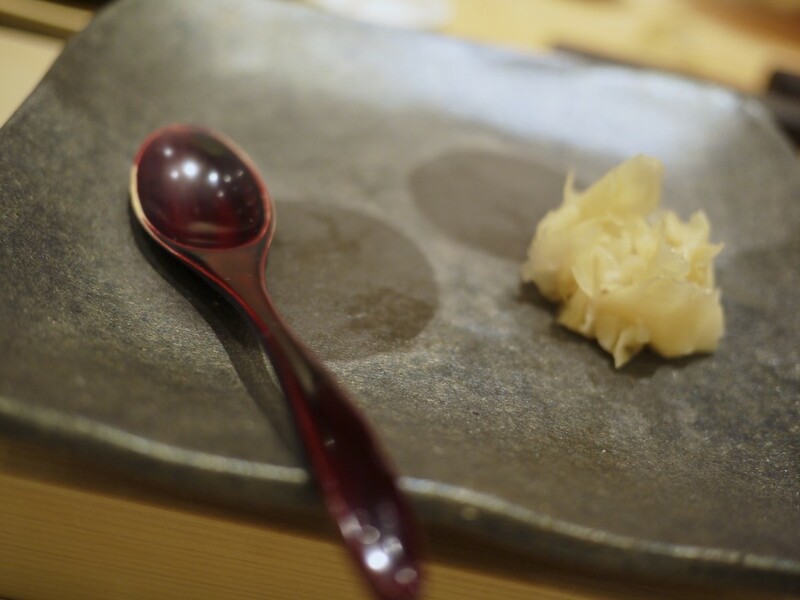 The roes seamlessly melted in the mouth with the rice with little effort and the grated zest of yuzu breathed life into the dish with its aroma and zingy contrast to the sticky juice that oozed out. Outstanding! 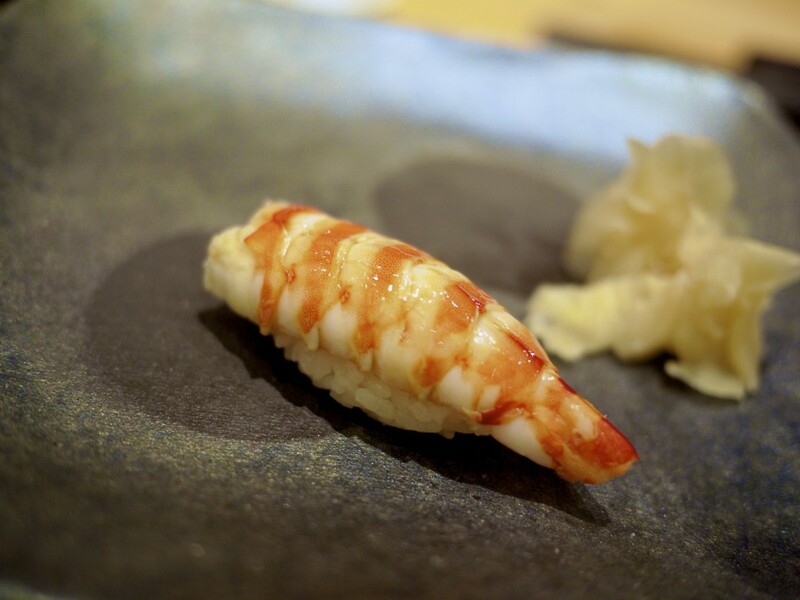 As much as the Prawn (車海老 – Kuruma ebi) was juicy, slightly crunchy and cooked well, it was still my least favourite dish of the meal. I’ve never been a huge fan of prawn sushi, regardless of where I’ve been and that wasn’t going to change on this occasion. I am always happy to give it a try though just in case someone is able to convince me otherwise. 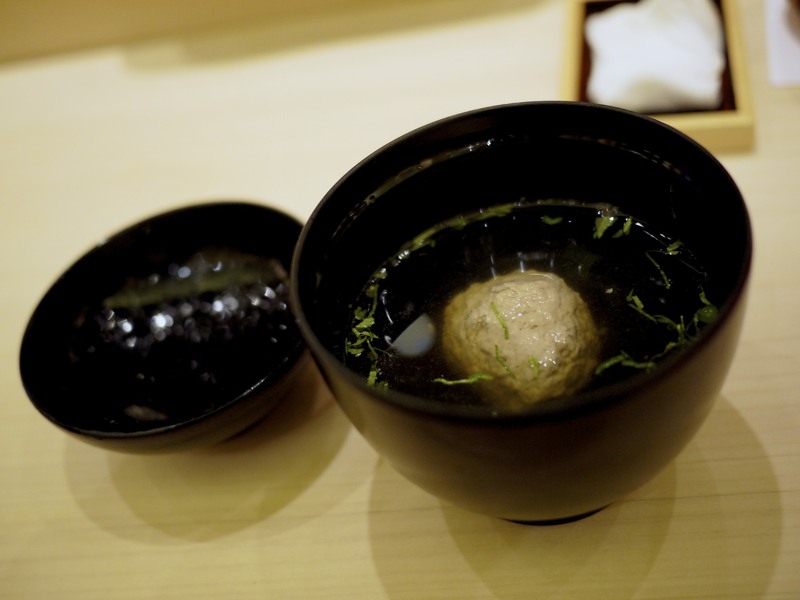 A bowl of Suimono (clear soup) to wrap things up. And just when I truly thought it was over, the itamae served me one last surprise with the Salterwater / Conger eel (穴子 – Anago). 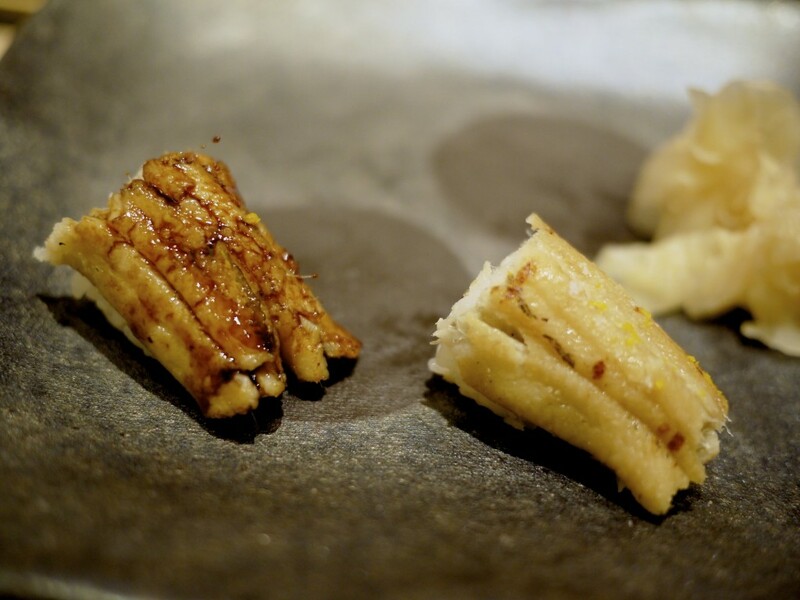 The one on the right was simply prepared using salt only, drawing out the rich flavour of the eel. 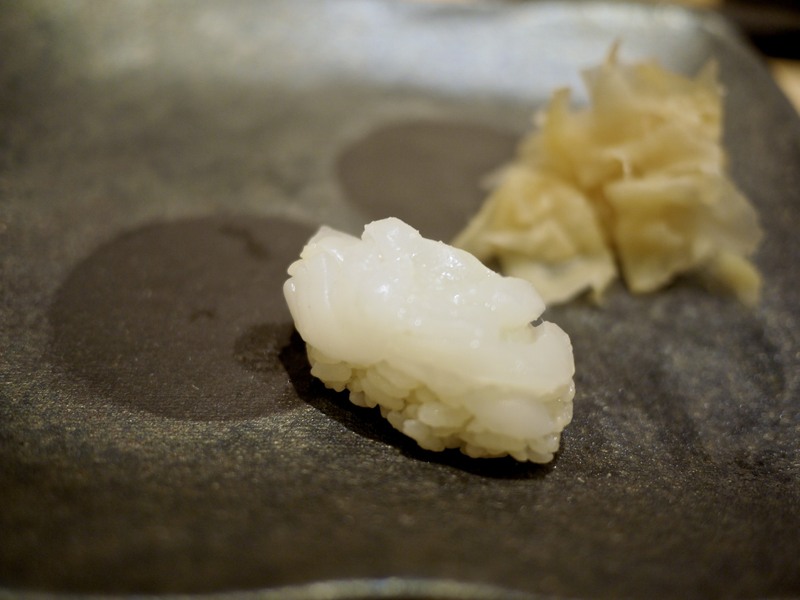 As previously stated in my review of Sushi Tetsu, the skills that go into the preparation of an eel requires years of experience and training, similar to sushi. I progressed on to the next piece on the left which had been baste roasted in their delicious savoury kabayaki sauce. I loved the flavour progression between the two and how they each highlighted the flavour using different techniques. To mark truly the end of the meal were a variety of rolled sushi (makimono) Bluefin tuna, shellfish and cucumber, squash. 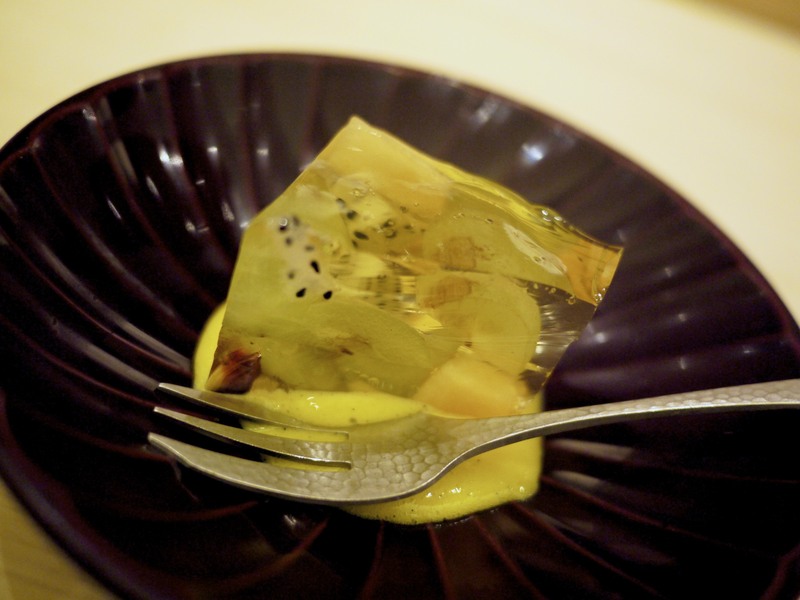 As mentioned at the start, even their dessert of the Jelly with fruits had been imported from Japan! The itamae explained that in order to ensure the same experience as a top sushi-ya in Japan, they wanted to ensure that the dessert was also Japanese, with familiar flavours. Amazing. I’m not going to ramble on about the quality of the sushi here. Simply put it, it’s very good. However, it’s not just the food that is amazing here. 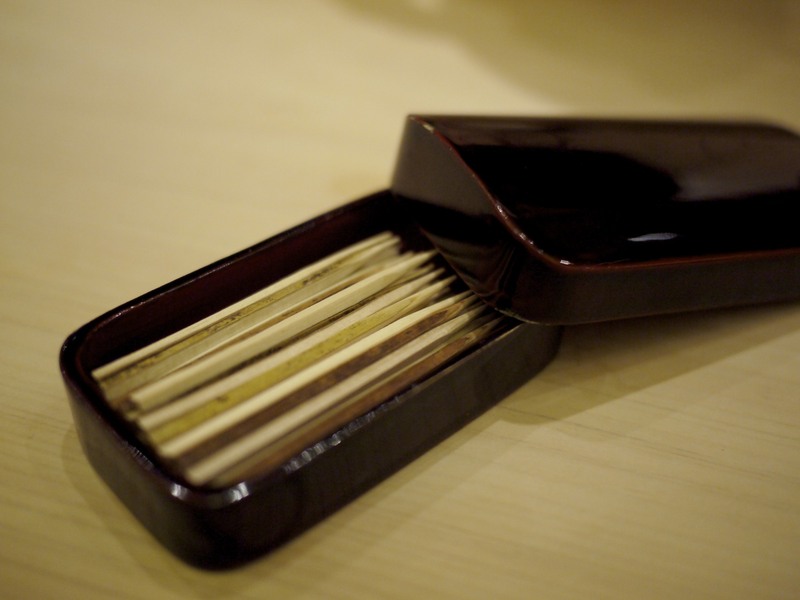 It’s also the attention to detail that went into everything from directly sourcing the ingredient and fish (neta) in Japan to the finer things like the lacquered toothpick box after the meal and the 220 year old hinoki counter. No expense was spared in recreating an authentic sushi establishment overseas and I personally think that justifies the significant bill that comes at the end of the meal. 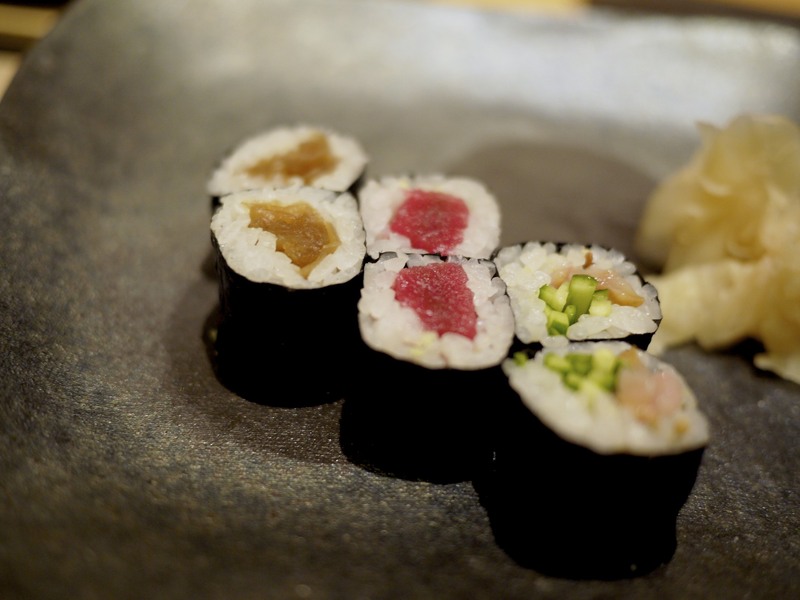 If you’re a local in Singapore at least you can save the cost of an airfare to sample truly authentic Edomae sushi. I’d happily come back here many times. 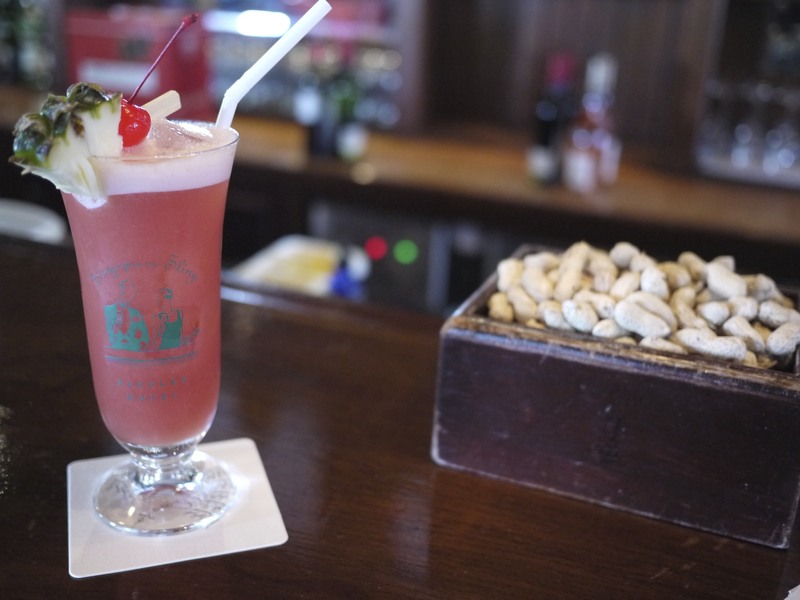 This entry was posted in Singapore and tagged aji, anago, buri, chutoro, Kanesaka, Koichiro, mackerel, negitoro, Oshino, Otoro, Raffles Hotel, salmon roe, Shinji, Singapore, Singapore Sling, Sushi on May 3, 2014 by admin.